In this heart-stopping photograph, we see Austrian athlete Felix Baumgartner atop the Christ the Redeemer statue in Rio de Janeiro, Brail. 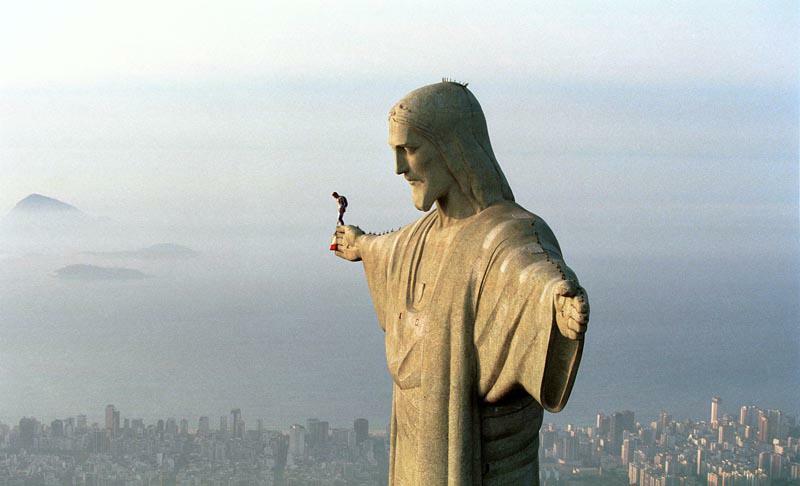 The photo shows Felix preparing to BASE jump the iconic statue back on December 3, 2001. What an amazing experience this must have been! ← Are you eating enough vegatables?